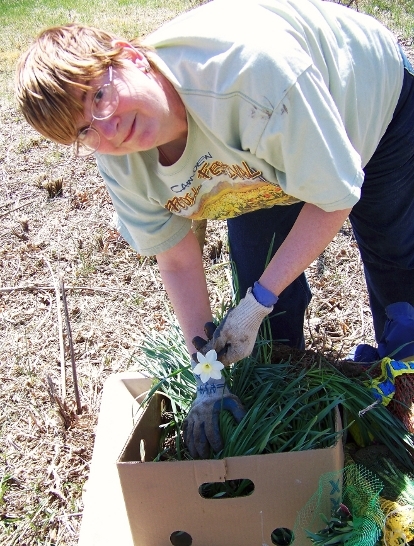 Beth filling her box with Daffodils at Shaw Nature Reserve. 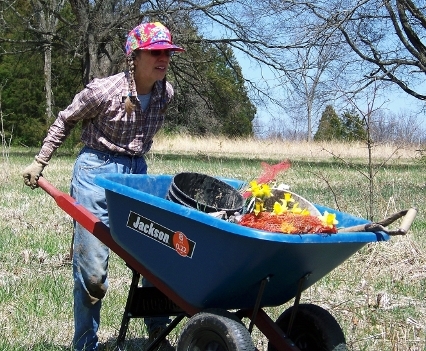 Valerie is filling her wheelbarrow at the Daffodil Dig. 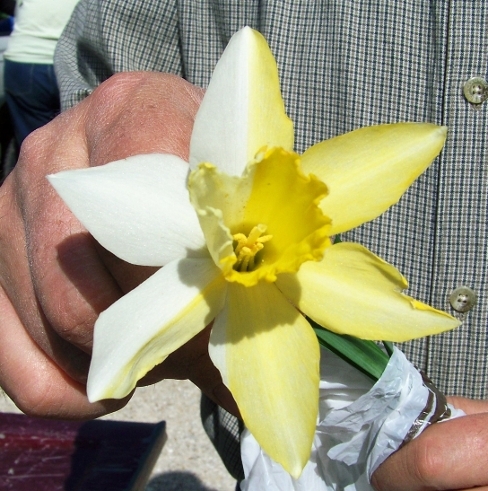 Joy found this unusual daffodil while digging at Shaw Nature Reserve. 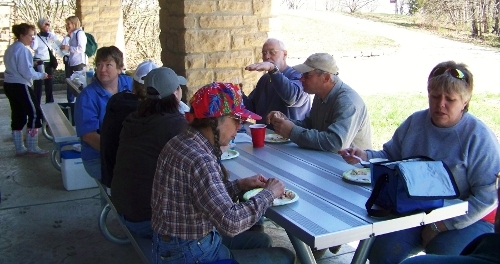 Everyone taking a break for lunch at the Daffodil Dig.